While Orlando, FL, may be best known as home to world-famous amusements parks like Disney World and Universal Studios, there is no shortage of other family activities near Lake Nona, a small but active community within Orlando. Lake Nona is a flourishing community, growing from just 1,500 residents to more than 50,000 in 2015, with some expecting that number to double in the next two years. With that many new residents, the area needs to deliver on activities that keep them entertained and educated—and it certainly does. Many family activities near Lake Nona take advantage of the area’s unique geography. Crescent Park is a beautiful, open park—and, as its name suggests, crescent-shaped, right in the middle of the lake-bordered community—that often hosts community events. From yoga sessions to food truck parties to movie and music nights, Crescent Park is a hub of community activity. Even when events aren’t going on, you’ll often see families picnicking in the grass, friends playing Frisbee or football, or kids enjoying a beautiful sunny day with a game of tag. Dwell Lake Nona is situated in the perfect spot for you and your family to take advantage of it all! Families with some golfers (or those who want to become golfers!) can head to Drive Shack Orlando. The lakeside driving range is open to golfers of all ages and abilities, offering beautiful backdrops while aspiring athletes work on their swing. Visitors can take part in clinics and beginners’ classes and, while the kids perfect their swing, parents can enjoy cocktails and cuisine. After lots of exercise, families can kick back with their food and drinks and enjoy live music on the weekends. Other family activities near Lake Nona are just as exciting, such as Gatorland, which gives visitors an up-close-and-personal look at the local gator residents. Those searching for a milder outing can head to the Crayola Experience, which shows families the fascinating process that goes into making each colorful crayon, and of course encourages some hands-on creativity. While Disney and its surrounding attractions are a great way for families to enjoy the area, the family activities near Lake Nona go well beyond the parks’ boundaries. 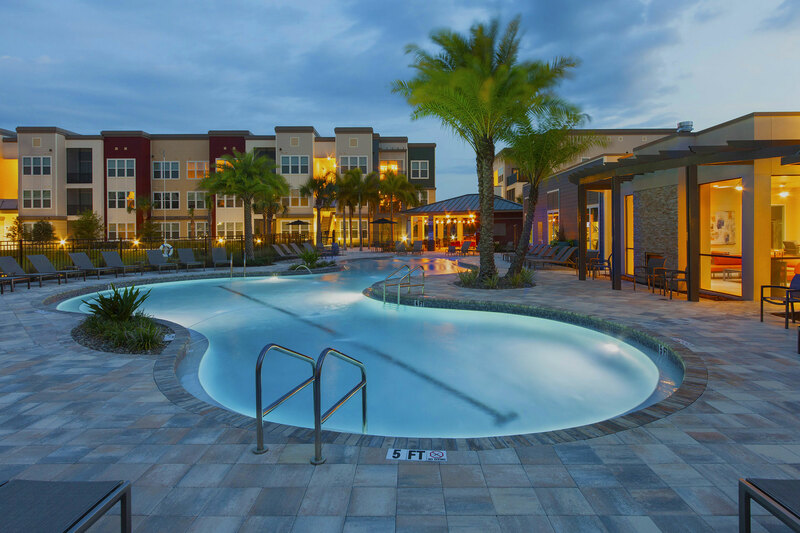 At Dwell Nona Place, residents can enjoy the range of family activities near Lake Nona and then come home to the peace and quiet that their apartment community provides. To learn more about Dwell Lake Nona or schedule a tour of our beautiful community, contact us today!